From the time we are born, relationships are constantly shaping who we are and how we engage with the world around us. Beginning with how we see ourselves, we develop a view of God and others that impacts the way we relate to our parents, navigate friendships, dating relationships and marriage. 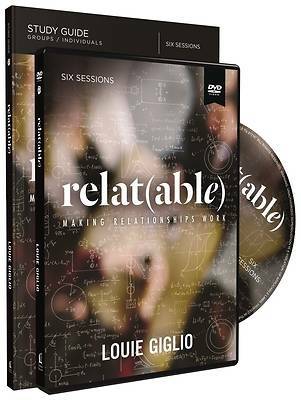 In this study, Louie Giglio explores the fundamental question of what makes us relatable to others. He shows how God can change our perspective on relationships, give us greater purpose in dating and marriage, bring us peace in the midst of conflict, and help us restore relationships that seem broken beyond repair. The Relat(able) Study Guide includes video discussion questions, Bible exploration, and personal study and reflection materials for in between sessions.